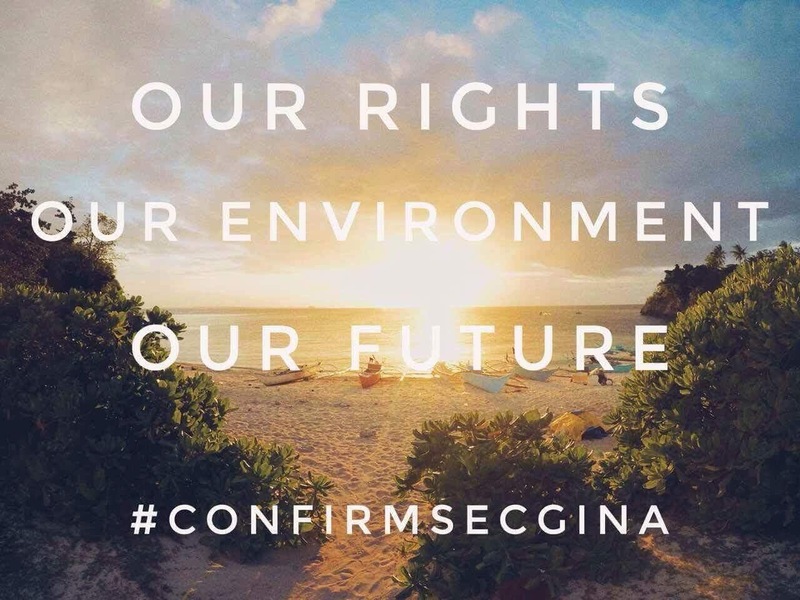 Today, March 8, while we are celebrating the great achievements of women all over the world, Environment Secretary Gina Lopez will face the Commission on Appointments (CA) whose membership is set to vote in secret. The Green Thumb Coalition raises strong concern about the sudden decision of the CA to push for secret balloting. We can only surmise that the effort to push for a secret voting is nothing but an act of cowardice and a ludicrous attempt to hide from the anger of the Filipino people. Rejecting Lopez as DENR secretary is a vote against the people’s constitutional right for a healthy and balanced ecology. Calling it a ‘conscience vote’ is a misnomer, as the process will lack transparency, devoid of any accountability and should not have had any place in a country that practices democracy. We call on the Commission on Appointments to confirm Ms. Gina Lopez as the Secretary of the DENR to ensure that the urgent reforms to protect, conserve, and restore our resources for the benefit of the present and future generations will continue. Her confirmation will cement the Duterte administration’s commitment to its promise of positive change to the environment and to the Filipino people.